As you’re wrapping packages this Christmas, consider reaching for fresh flowers to top your gifts instead of bells or bows. The following flowers make festive adornments to a holiday package. You can shape carnations into cute snowmen, or you can form them into a sphere to create a Christmas ornament look. Or, simply tie a few of these blooms into your ribbon. 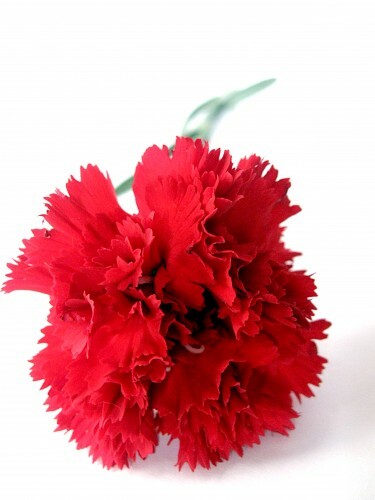 We love the look of white or red carnations for Christmas package toppers. Mini wreaths can be made with sprigs of holly or pine. You can add berries to them or tie in little paperwhites. Wrap a thin ribbon around your mini wreath to give it a bit of pizazz. Depending on how flashy you get with your Christmas package wrap, you may want to adorn your gifts with amaryllis. Amaryllis adds a dramatic effect to presents wrapped in luxurious paper. For kids’ packages, throw some candy-striped amaryllis on top. These flowers bring candy canes to mind. They’re fun and different from most flowers that kids have seen, which offers a bit of surprise to go along with your surprise gift. Giving a present to someone you love? Put mistletoe on top. When your beloved unwraps the gift, grab the mistletoe, hold it up, and lean over for a kiss underneath. There are so many beautiful flowers that you can use to decorate Christmas gifts. These are just a handful. When it’s time for you to wrap presents, think about what special blooms you think might help the magic of the season come to life for someone special.